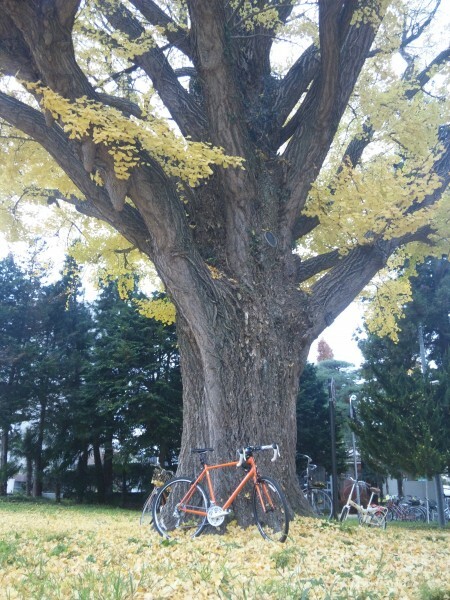 I recently rode my bike up to a tree that had laid a lovely yellow carpet all around itself, and at some point while I was taking pictures of that my bicycle snuck into the frame. 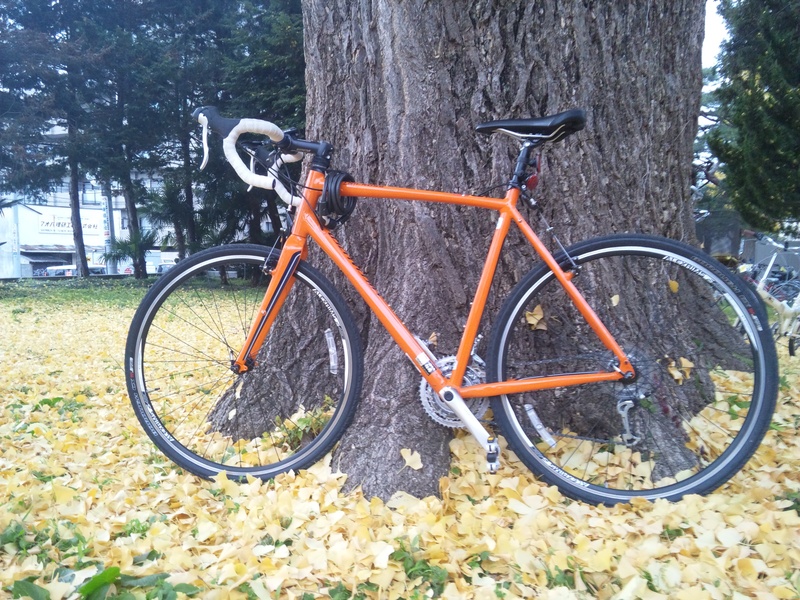 So, here it is at last, my yet-unnamed orange blur. Not pictured: how it looks after my lovely wreck five hours after these photos were taken. I had intended to take it to the shop today, but am stuck inside waiting for an endless rain to end, which, now that I've written it like that, seems rather futile. Way back when I settled on coming to Sendai I started searching the web for their climbing gyms. 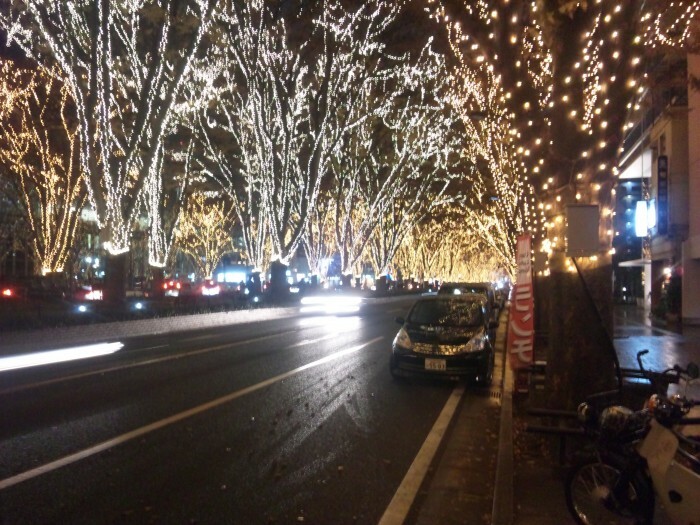 At one point I found some Japanese fellow's blog that had a writeup on b'nuts, and the last bit on there was his remarking on the holiday spectacle that was happening right outside the gym. Well, now it's my turn to share the lights from the hikari festival.